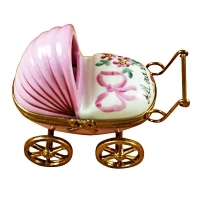 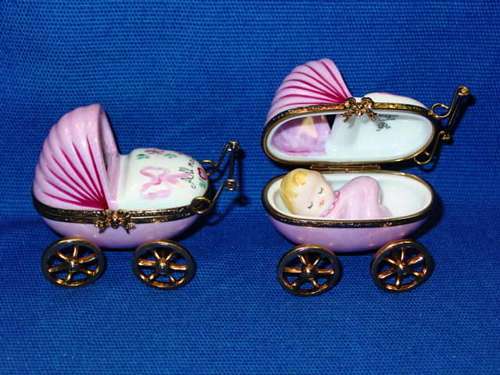 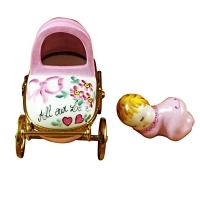 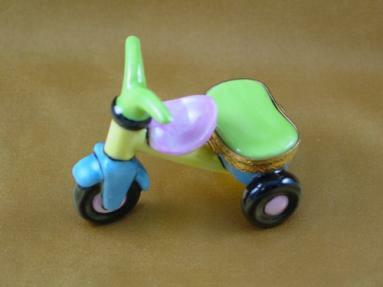 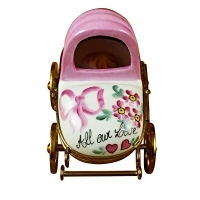 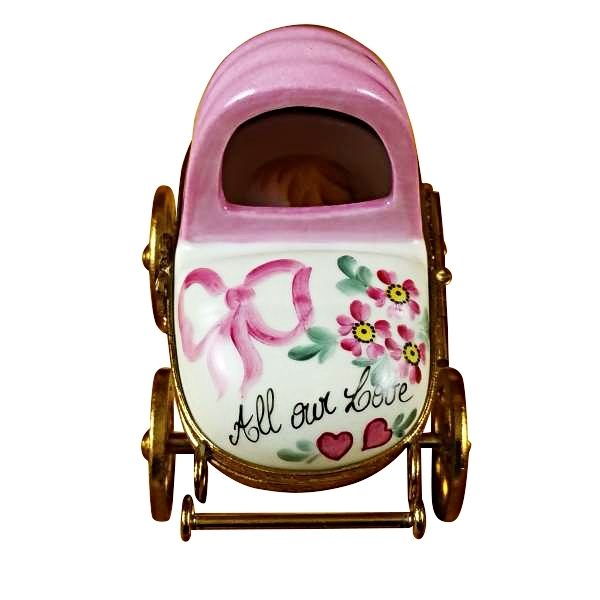 PINK BABY CARRIAGE - Limoges Boxes and Figurines - Limoges Factory Co. 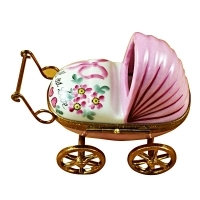 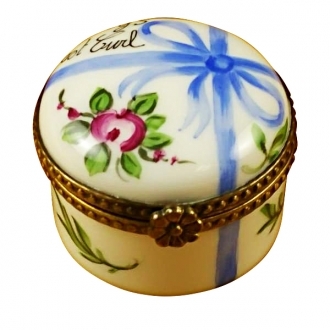 The Limoges box shaped like a baby carriage serves both utility and décor purpose. The carriage with pink designed bed and pink umbrella is a very endearing object. 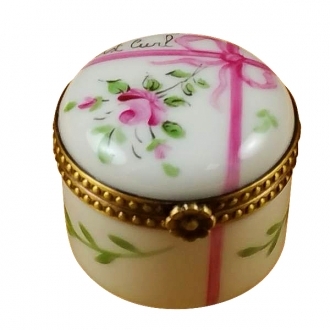 The whole carriage is a Limoges box. 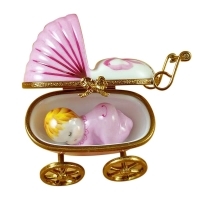 On opening it you get a removable sleeping baby girl figurine. The baby looks sweet and peaceful. 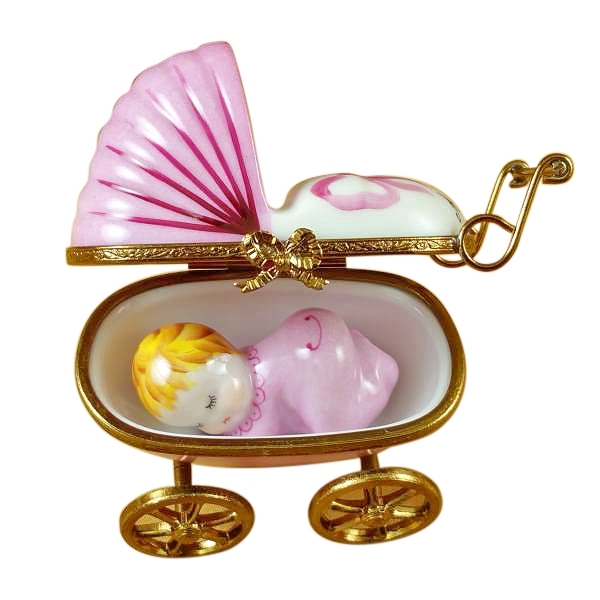 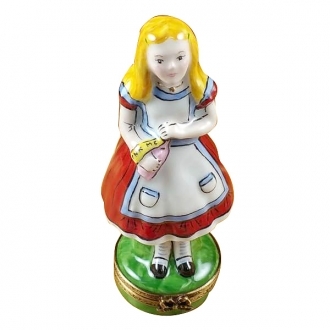 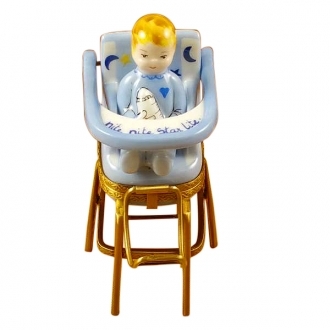 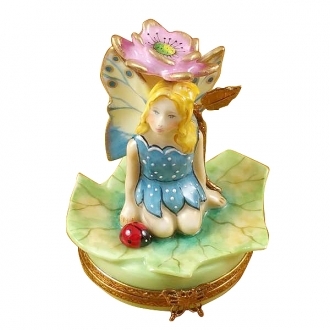 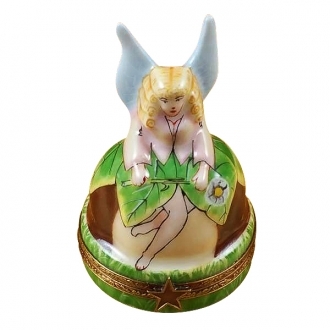 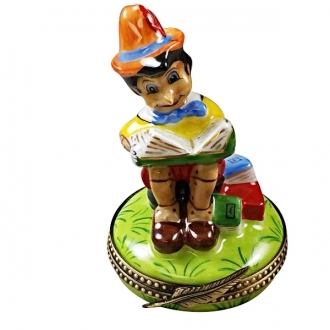 If she does not have a trinket to keep in it, your daughter can play with the baby figurine. 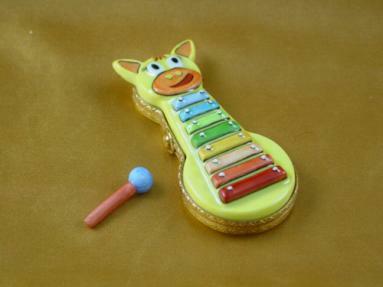 Measurements: 3" х 2" х 2,75"